The uniformity phantoms are used for the most simple and quick tests. For example, an uniformity phantom may be used to determine whether your transducers has weak elements. This type of test is often referred to as an Image Uniformity test. Weak or dead piezoelectric elements may cause problems such as decreased axial and lateral resolution, decreased depth of penetration and decreased low contrast performance. The UltraiQ uniformity phantom is designed for the widely recognized uniformity tests. 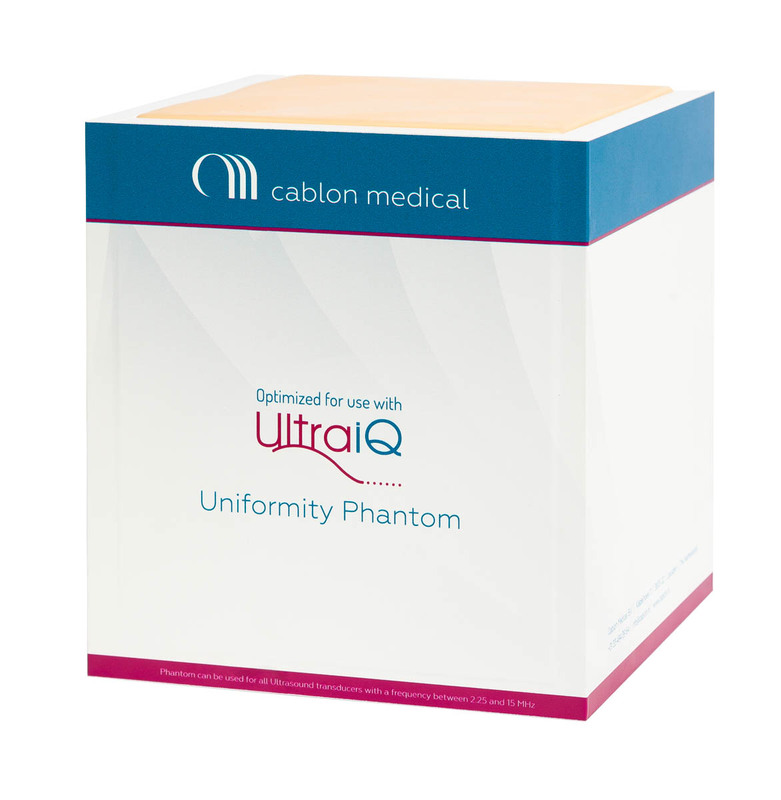 The soft material of the Cablon UltraiQ Uniformity phantom allows you to easily couple any type of transducer. Simply capture a few images or a cineloop while moving the transducer over the phantom, and export the images to UltraiQ for analysis. UltraiQ will tell you if there are any weak or dead elements, as well as their positions. 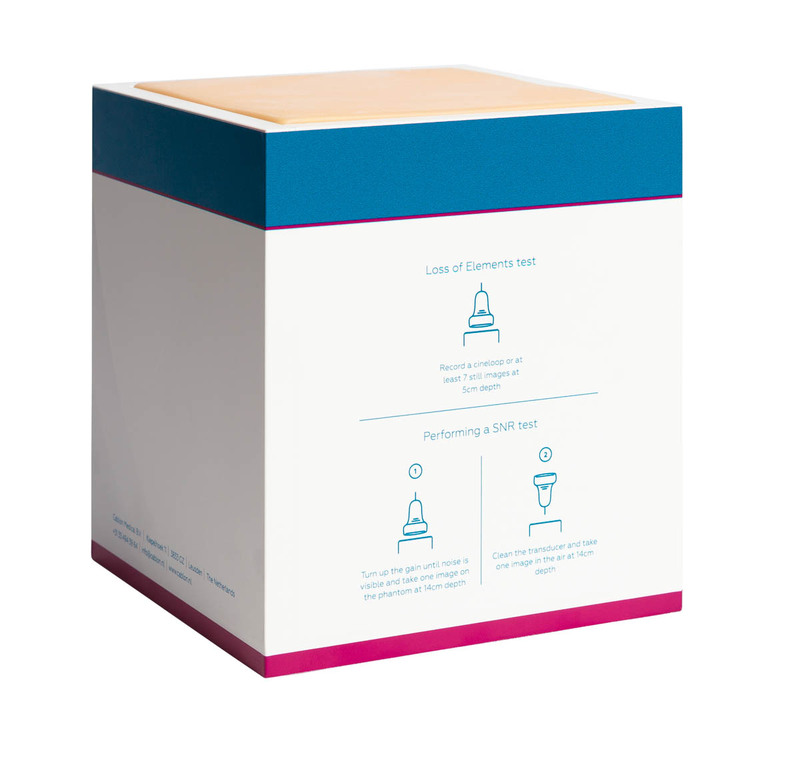 Visual assessment of the image is also possible, but is much less accurate. This phantom is compatible with any 2D transducer (frequency 2-20MHz).